Infographic: Which Wearable Tech Device Will Win? 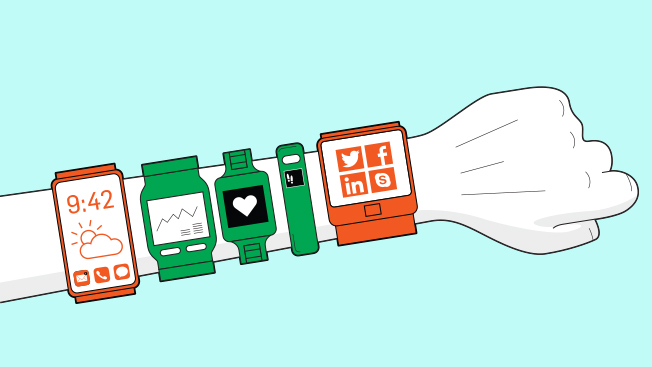 In the war of the wearables, the biggest battle is finding the right audience for your innovation. Smart glasses make for a good example: Despite all the hype around Google Glass, research firm NPD Group found only 1 percent of those surveyed actually bought them. Widespread adoption has not occurred. The other major wearables on the market, fitness trackers and smartwatches, are facing similar obstacles in their evolution, said Eddie Hold, vp of connected intelligence at the NPD Group. For example, fitness trackers like Fitbit may seem ubiquitous—and sports-focused demand is high—but activity trackers overall have been stymied by a shift in audience. Devices like Nike Fuelband began with athletes in mind, but "the product failed to really deliver for the more athletic among us. Instead, the product moved to mainstream use," Hold said, such as general health and "dropping a few pounds." "We can expect to see new products emerge that are better focused on the athlete again, driven by the likes of Under Armour," he added. For smartwatches, Hold said the biggest challenge is that 50 percent of the U.S. population currently does not wear a watch at all. "The smartwatch still has to create a defined use case," he said. "Why do I need it? Also, we'll see basic 'smartwatch' functionality merging into activity trackers." As wearable devices continue to change in response to audience demands, smartwatches could catch up to or even surpass fitness trackers in terms of adoption, Hold said. But at this point, it's anybody's game.